While we can all agree that squelchy filtered Moog bass or lush Juno pads are a surefire way to get the people slipping into their dance pants, it’s always a good idea to read up on those forgotten treasures because a) they’re awesome, and b) you’ll sound like you know more than the other guy at the party who also knows a thing or two about synths. Here are some weird and wonderful analogue underdogs that you may not know about (but really should). The classics are classics for a reason, but that doesn’t mean that some excellent instruments haven’t slipped under the radar over time. Here are 4 vintage underdogs synths that you may not know but definitely should. During the early 70s, Italian designer and creator of the Elka Synthex, Mario Maggi, was known to have built custom monophonic synthesisers for a handful of musicians in Europe. In 1978, Mario presented the MCS 70 to the music world, and due to new methods of construction it was one of the first fully-programmable mono synths ever made. Soon after, US-based Sequential Circuits revealed the Prophet 5, which had five voices of polyphony and recallable patches, so Mario got to work on his own polyphonic synth. After receiving funding from Italian company Elka and three years of construction, Mario created the eight voice polyphonic Elka Synthex. At the time the Synthex was unique for various reasons, including its implementation of DCOs – digitally controlled analogue oscillators. This new technology provided increased stability in the tuning of the instrument, a problem that became more evident with the introduction of polyphony in analogue synthesisers. The Synthex was discontinued in 1985 with one last unit being manufactured at the request of Stevie Wonder, and due to their rarity the Synthex has been known to fetch a hefty $13,000 on the resale market. Don’t sell off your least favourite kidney just yet – if you want a little peace of Mario Maggi in your life, he’s at it again 20 years later with an entirely new synth, the Synthex 2, which is currently offering pre-order requests now. Since the Iron Curtain was still enforced by the Soviet government through the 80s, the importation of western electronics was prohibited and Soviet musicians were unable to get their hands on some of the most popular synthesisers of the time. During this period, much of the USSR’s commercial electronic goods were produced in military plants to keep the economy moving, and in the early 80s Vladimir Kuzmin at the Formanta Radio Factory began to develop the first USSR voltage controlled synth – the Formanta Polivoks, Mother Russia’s most iconic synthesiser. However, the duophonic synth is far from perfect. Most of the quality electronic parts in the USSR were reserved for military-based products, so the components supplied to the Formanta Radio Factory were less than desirable and the factory was pumping the instruments out like hotcakes. Because of this, the Polivoks is known to be highly problematic, especially in vintage condition. In short, this synth is weird, distorted, and plain nasty. So, why bother you might ask? Because this synth is weird, distorted, and plain nasty. When it comes to thick fuzzy baselines or piercing filter squeals, you won’t find anything that sounds quite like it. While there’s not too much information out there on this Japanese gem, it definitely deserves some attention. There are a few versions of the Kawai SX-240 that were also released as the Tiesco SX-240 in a period where Tiesco was selling the company off to Kawai, and although the synth specs are the same, the branding on the synth may vary between the two names. Known for its rich analogue character, the SX-240 offers eight voices and a sub oscillator on each of its two DCOs. 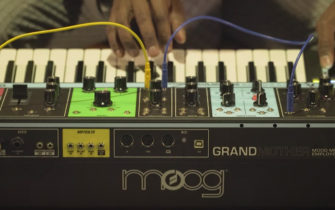 The synth features a Split mode so that you can load an individual patch on each half of the keyboard, or Dual mode can be used to layer two sounds on top of one another – ideal for lush pads or distinctive leads. Unlike most poly analogue synths produced around the same time, the SX-240 features both portamneto and glissando along with an inbuilt chorus labeled as ‘ensemble’ and a ring modulator or ‘brass’. This synth is often compared to other legendary Japanese powerhouses like the Korg Polysix or the Juno-60, although, due to poor marketing and a clumsy knob/slider absent interface, it never received equal recognition. If you do spot one of these rare mystical creatures for sale, keep in mind that the onboard batteries often need to be replaced to keep the patch memory functioning like it should. Now this one is a little controversial, and before you slosh your morning coffee over your computer, just read on. Manufactured in Britain by the Oxford Synthesizer Company, the OSCar was a little late to the party as far as mono/duo synths go, which caused the synth to be as unique in specs as it was in looks. Yes, the OSCar houses two digital oscillators, but it has scored a mention for one reason – the duophonic synth boasts a famous analogue filter section. This powerful filter section offers two 12dB analogue ADSR filters that can be combined to create 24dB filtering. Not only that, but it was the first synthesizer to offer a ‘separation’ knob which allowed you to separate the cutoff frequencies on the individual filters resulting in distinctive formant type sounds. Finally, since running analogue synths through distortion units was becoming a popular technique, OSC built an onboard distortion knob which they coined the ‘Filter Drive’. Revolutionary as it may have been for a duophonic synth, due to the markets increasing interest in polyphonic synths, with the release of the Juno-60 in the same year, the OSCar was sadly left behind and hence only 2000 units were ever made.